What do you need to prepare for your FHA home loan closing date? Whether you are using an FHA loan to buy new construction or an existing home, there are some things you should know about the closing date and how the transfer from seller to buyer works. July 18, 2018 - What do you need to prepare for your FHA home loan closing date? Whether you are using an FHA mortgage loan to buy a new construction property or an existing construction home, there are some things you should know about the closing date and how the transfer from seller to buyer works. Depending on the nature of your FHA mortgage loan, the real estate closing process may happen a month or two from the time you’ve signed on the dotted line, but in the case of new construction loans such as the FHA One-Time Close Construction Loan, it could much later than that. 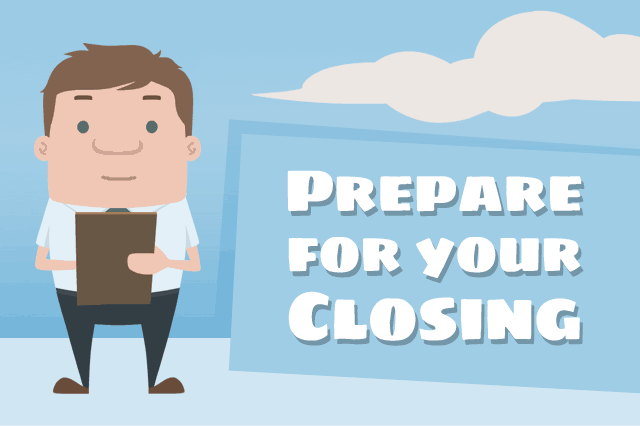 The specific closing date you’ll get is something to be worked out with your loan officer; if there is a need for a delay of closing due to unexpected circumstances, you may need to review the specific legal language of your sales contract to see if there are penalties or specific steps required to make the delay fair and legal. You should receive a Closing Disclosure for most FHA forward mortgages issued today three days prior to your closing date. This statement should list your fees and expenses and may include itemized expenses such as the actual cost of requesting credit reports, etc. The Consumer Financial Protection Bureau (CFPB) has a page dedicated to Closing Disclosures that reminds borrowers that a Closing Disclosure is not provided for Reverse Mortgages. Instead, a Truth In Lending disclosure and a HUD-1 Settlement Statement are provided, although CFPB states that lenders are not required to send these documents in advance of the closing date. That said, borrowers who request to do so in advance may be permitted to see the HUD-1 Settlement Statement for FHA Reverse Mortgages at least a day before your closing date. You may be permitted to sign certain closing documents electronically as long as the electronic signature process conforms to FHA standards and lender requirements. State law may also play a role in how such signatures are collected and verified. Your lender may inform you that personal checks and actual cash are not accepted for closing costs or down payments. You may be required to use a certified check or a cashier’s check and in some cases a wire transfer may be required. If a wire transfer is the preferred method of payment, ask your loan officer for the specific procedures for the wire transfer including the specific recipients for the transfer. It’s best to contact your lender by phone or in person to discuss this as there are many warnings about fraud associated with wire transfers; some scammers approach an unsuspecting borrower by email or other means to get a wire transfer to them instead of your actual chosen recipient-contact your lender at the central phone number for the financial institution you have chosen and get specific instructions. Don’t rely on incoming calls or e-mails to get this information, just in case.